Darmann Story :: Darmann Abrasive Products, Inc. designs, manufactures and markets fine grit bonded abrasive products such as superfinishing, precision grinding, abrasives diamond use and honing processes. Home :: Darmann Abrasive Products, Inc. designs, manufactures and markets fine grit bonded abrasive products such as superfinishing, precision grinding and honing processes. Darmann was founded in 1983 to address the emerging needs of bearing and automotive companies to superfinish parts. The creation of OPEC and the first oil embargo forced the transportation industry to look for energy efficiencies. Bearing manufacturers were being pressured to improve the performance of their products. They found that superfinishing of raceways and rollers resulted in dramatic improvements. Superfinishing increased bearing life, reduced noise levels and increased load carrying capacity. The company developed proprietary process technology capable of producing consistent, tightly graded stone products manufactured to precise geometries. This allowed Darmann to make a more uniform and consistent stone product. Superior products combined with technical support enabled Darmann to become the superfinishing market leader. The company later utilized the same core technology to make fine grit wheels with customized features. We began to supply wheels used in the production of orthopedic implants, fuel injection parts and hydraulic components. In the early 1990s Darmann began to develop targeted CBN and diamond solutions for precision grinding applications. We have focused on specialized wheels for small bore grinding, fuel injection and specialized materials such as ceramics. The company has accumulated considerable experience making wheels as small as a pencil head and products that utilize sub-micron abrasive materials. Since 2004 Darmann has designed, manufactured and sold both metal bond and vitrified honing stones. Our metal bonded products have been used for transmission parts, diesel engine cylinder liners and long tube honing applications. We have developed vitrified superabrasive products for precise plateau honing applications as well as cost effective conventional vitrified hone solutions. We have greatly expanded our international business. We now sell to customers in over twenty countries. In December, 2006 we established Darmann Eastern Europe as a sales and distribution company to support customers in Eastern Europe. More recently we established Darmann China in Changshu, China as a wholly owned subsidiary to manufacture and sell our products to customers in Asia. We are committed to building on the tradition of supplying customer centric solutions. We continue to make significant investments to develop new products and technology. 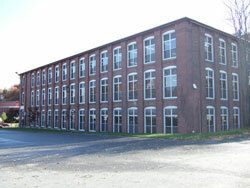 In 2006 our Clinton, MA plant became ISO 9001:2000 registered. As an employee-owned company all of our employees have an equity interest in our success.